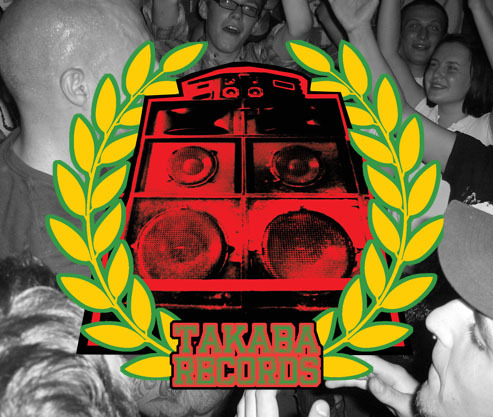 Takaba is an artist collective and record label based in Toronto, Canada. Listen to Just Not Cool Anymore by Modulok. Listen to The Web by Th3 Abyss. Happy Birthday to us! Today marks the fifteenth birthday of our recording studio. So much has happened in that time. We have diversified over the years, always ensuring we have the best equipment for the best results. Four years ago we moved from our small professional studio out of town, to a larger, more accessible premises. We've maintained our reputation as a recording studio of excellence and are proud at our expansion despite the rise in the number of home studios. Our professional recording studio now has five studios large enough to accommodate an orchestra and small studios for the solo artist and any number in-between. Our state of the art equipment for recording, editing and mixing music combined with carefully constructed acoustic control rooms and isolation booths for high-volume instruments are carefully constructed to promote sound quality better than anything achieved at home. Whether recording a song track, a music album, a commercial or a voice over we have been able to capture, record, combine, re-record and edit sounds that exceed expectations. We value our clients and have built a relationship over years with many. Whether a nervous teen or someone who has only sang in the shower, it's great for us to see the growing confidence of those who leave with a CD of their own composition or of a song from our ever-growing backing list. With established bands we've been able to provide professional finish recordings that are just not possible from a home studio, as well as helping to transform very rough ideas into a really great track. We are grateful to the artists that have used our facilities and help us to achieve the great results that are reflected in the glowing references we receive. None of this is possible without a team of skilled and experienced staff. Our producers have the communication skills to understand and translate the overall vision of your project in a stress-free environment. Sometimes it's difficult for clients to make clear judgements about their own vocal/instrumental tracks, but our producer's will bring perspective and move the project forward. Our sound engineers are able to achieve the best results fast, saving you time and money. Our dedicated engineers are skilled in working within different specialities to suit your requirements. We take pride in anticipating and exceeding our clients' needs. Thanks also to our session musicians pianists, keyboardists, vocalists and backing vocalists, guitarists, violinists, bass-players, brass players and woodwind, all of whom help to create a polished, professional-sound to every project. Our love of what we do translates into everything we do so that your time in the recording studio is one you'll want to repeat. For us, it's great to see clients have fun and grow in confidence. Our business has been built on the strength of 'word of mouth' recommendations and reviews. We hope we see you again before we hit sweet sixteen. Mark Wright is the captain of our local baseball team in Cambridge. He is also a keen guitarist and a member of “The ATM” a band whose gigs include their original songs as well as covers that really get the party going. Mark's a good motivator for us as a team, whether we are in training or in a baseball match. He is optimistic in his outlook and a good friend on and off the field. When Mark announced his engagement to Ellen, our coach's daughter and sometime backing singer with “The ATM”, the team was delighted. Once we had the date of their wedding we knew we wanted to give them both a wedding gift that was from all us in the baseball team. After much discussion... and a few beers, we knew we wanted a unique way for Mark and Ellen to remember this time of their lives. Then our first base player Phil came up with the idea of writing a song as a team to celebrate this time of Mark and Ellen's life. The idea grew into a bigger project of getting it recorded as a tangible and permanent gift for them to treasure. None of us doing the recording have a strong musical background, but we set about writing the song. I knew instantly where the song should be recorded, and got straight on to the recording studio to book a slot. The production of this song from its conception to completion was no mean feat. We had a limited time to compose the song, and we could not get a date when everyone from the team was available to record it. Eventually eighteen baseball players piled into the studio to record their vocals. We had the words for a song and an idea to follow the tune of “A Sky full of Stars” by Coldplay as we wanted a fun party vibe that we could create a dance to at the reception, but that was all. James, the director and producer at the recording studio was so swift, alert and efficient at his craft that it defied belief. Drums and bass tracks seemed to emerge instantaneously, only the exact number of required takes were recorded, no wasted time. In only a couple of hours we went from having a song which existed almost entirely on the back of a beer bat to a fully blown orchestrated track with over 20 singers, 3 guitars, piano, organ, drums, bass, and other percussion. Not to mention the rap. Those few hours also saw James and Colin, an affiliated film-maker, conceive and record a complete video to accompany the song. For the team this was an unique experience and great fun. It was such a pleasure to watch James work, nothing was too big an ask, every possible problem was promptly fixed. On Mark and Ellen's wedding reception the entire team got onto the dance floor and sang the song to the bride and groom at the head table. The video was played on a screen so that everyone could see the story as to how the song was made. Mark and Ellen loved it. Mark could not believe that we had recorded this without him knowing – as our captain, he likes to know what we are all up to. The song has become a bit of a 'team song' now. And it does not end there either. Mark and Ellen loved the idea so much that they went to the recording studio a few months later and laid their own tracks for an album of their own and hope to continue to do so again and again throughout their married life together. We have started a trend of continuing happy musical memories and we are all delighted.